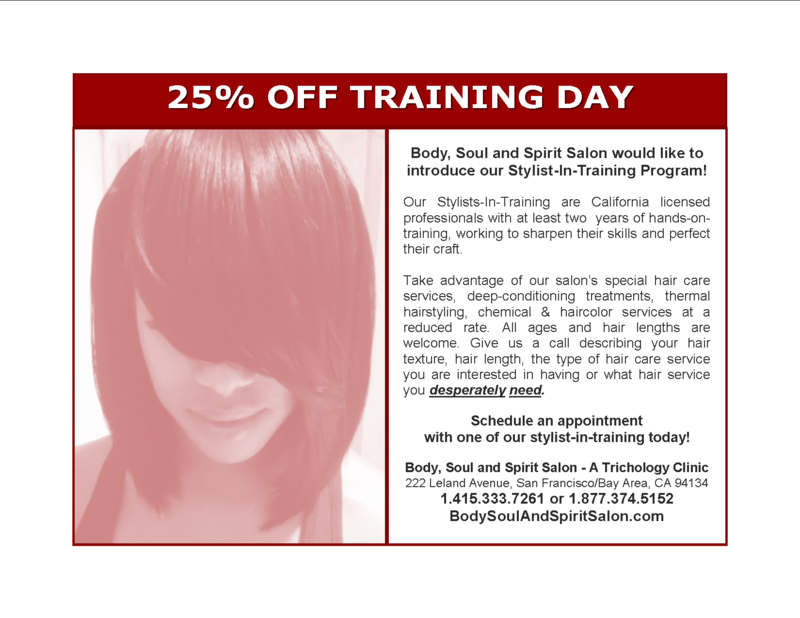 Body, Soul and Spirit Salon would like to introduce our Stylist-In-Training Program! Our Stylists-In-Training are California licensed professionals with at least two years of hands-on-training, working to sharpen their skills and perfect their craft. Take advantage of our salon’s special hair care services, deep-conditioning treatments, thermal hairstyling, chemical & haircolor services at a reduced rate. All ages and hair lengths are welcome. Give us a call describing your hair texture, hair length, the type of hair care service you are interested in having or what hair service you desperately need. Schedule an appointment with one of our stylist-in-training today!